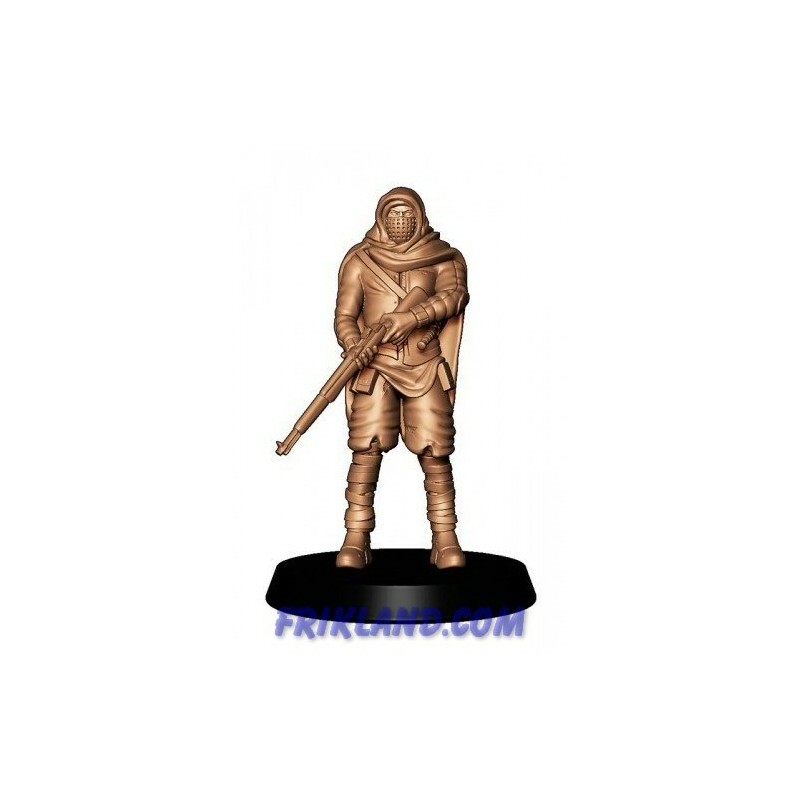 Today I’m showing you a new batch of conversions for my band for Punkapocalyptic the game. As I told you in a previous entry, I’ve recently started playing this fun and fast wargame from Bad Roll Games. I chose the Junkers as my main faction, which are the ones who scavange for technology from where society still existed, and try to fix it to trade with it (or just use the coolest and weirdest gadgets). This band started having a quite pleasing aesthetics in my opinion, with cloacks or long coats, bulky backpacks, and an all arround Wasteland survivor look. However, once the faction was redesigned, Bad Roll Games decided to go with a more steampunk-eske look, which is not the one I like most for a post apocalyptic game. So I’ve decided to convert every miniature to my liking. The oldest models will suffer less conversion as the newer ones. Geark with rifle. Image from Frikland’s online store. And that’s all for today, a simple conversion for a miniature I already liked. Next week I’ll show you more conversions for my Clockworkers.